In late 2017, Salvator Mundi, one of Leonardo da Vinci’s paintings, sold for $450.3 million. For a child born out of wedlock in the 15th century, that’s quite an accomplishment. And yet, many would argue that this isn’t even close to being his greatest contribution to humanity. When the word “Renaissance” is spoken, no one comes to mind faster than da Vinci. Not only was he the embodiment of an artist, but he was also a prolific inventor who contributed to everything from architecture and music to anatomy and geometry. If you were to form a surface-level impression of this almost-mythical person, it would be hard to come to any other conclusion than the fact that he was a genius. Plain and simple. And that conclusion would indeed be right. He was a genius unlike anyone we’ve ever seen. Whether or not that genius was fully born into him at birth, however, is a different story. While it’s difficult to draw a definite conclusion about someone who lived more than 500 years ago, it does appear that da Vinci’s genius came more from experience than good fortune, as Walter Isaacson argues in his book. From a young age, more than any talent beyond what he earned through practice, it’s pretty clear that what drove him was his endless curiosity. Everything else can be traced back to it. If you look through the lens of history and study the lives of many great inventors, builders, and creators, there is a common thread that turns up more often than you would think. While not always the case, it’s clear that some of the most important contributions that have been added to the flow of culture have been found at the intersection of science and art. Rather than deep specialization alone, what we see is that the magic of creativity and human ingenuity is a product of the mixing and matching of different fields, perspectives, and people. It’s obvious looking at da Vinci’s contributions that he played at a similar intersection. One thing, however, that is different about da Vinci is the fact that he didn’t really ever think of it as a distinction. There seemed to be little separation between fields in his observation. He simply watched, noted, and contextualized things as he saw fit. It wasn’t like he was intentionally studying science one day and art another. To him, they were one and the same thing. They danced together, and it wasn’t possible to understand one without the other. Although we are seeing more and more talk about the benefits of cross-disciplinary learning and thinking, we still create firm boundaries and are ruled by them like they inherently exist. The truth is that there is no such thing as science or art beyond the linguistic labels we use to make sense of the different aspects of the world. There is only one reality, and that reality crosses over and mingles with itself in ways that can’t be captured by named disciplines. Of course, naming, labeling, and creating boundaries helps us better order and make sense of the world, but at the same time, they also restrict our curiosity to a very narrow angle. If you want to see the world for what it really is, then you have to observe without such bias. There are 7,200 pages still left of da Vinci’s famous notebooks. That’s estimated to be about a quarter of the total volume that has ever existed. Even so, they provide incredible insight. They contain records of his time in both Florence and Milan, they dive into his feelings of doubt and insecurity, and they discuss his relationships with friends and collaborators. While the importance of asking questions to find answers isn’t lost on most of us, to many people, some of these questions may seem uninteresting and irrelevant to their lives. The thing they overlook, however, is that what is uninteresting and even obvious on the surface may just hold an undiscovered treasure when explored in depth. Very few things are interesting on the surface. Often, we have to make them interesting by digging into them. Many of these questions didn’t immediately add anything to da Vinci’s works of art, but they added to the richness with which he saw the world, and that richness contributed to the way he painted valleys and rivers, landscapes and mountains, and even bodies and smiles. There is a whole world of things worth your curiosity, but you have to look to find them. The curse of perfectionism isn’t uncommon. It instills fear and doubt, and at some point or another, it plagues anyone who makes decisions, whether it be artists or business people. The most apparent downside of such perfectionism is that it stops production and creation. It paralyzes people into never completing what they need to put out into the world to progress. Given the quality of da Vinci’s painting, it’s perhaps no surprise that he was also conflicted by the need to produce only the best. In fact, the vast majority of the work he began was left unfinished, and even what he did finish, sometimes, took years and decades to complete. For da Vinci, however, it went a step further. It wasn’t just that he needed to put his best work out there, but he also never wanted to stop improving something. What he created was always a work in progress because he knew that he wasn’t done mastering new techniques. The Mona Lisa, for example, is thought to have been produced over the course of 10 to 14 years. Even at that point, it appears likely that da Vinci still didn’t consider it fully completed. There were tweaks to be made and new methods to employ. When debating the possible dates of the painting, some scholars argue that parts of it could only have been done towards the end of his life due to the style used. 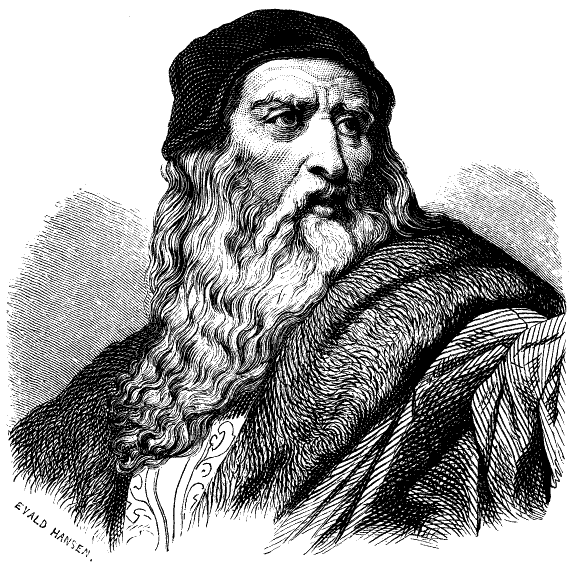 Da Vinci was refining his skill until death. The insight here isn’t necessarily that you shouldn’t ever finalize what you produce or decide — you should — but more that even when something is done, it can still be improved upon. Reality isn’t static, and neither are your decisions and productions. They can and should be refined over time, and it’s on you to experiment enough to ensure you’re better tomorrow. 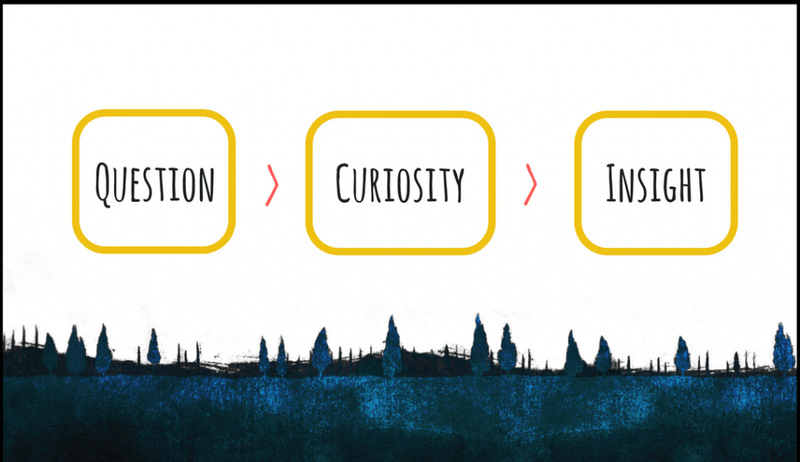 To conflate curiosity with genius may seem irresponsible, but when you think about curiosity as a measure of your engagement and connection to your surroundings, it isn’t too far off. Leonardo da Vinci saw the world like nobody else, but the reason he did so was due to the choices he made in his interactions with it. He chose to always be aware and attuned. The way you interact with and understand reality informs the parts of it that stand out to you. Curiosity is a subtle but potent weapon that each and every one of us can use to influence it. Being curious isn’t a guarantee of any kind of ingenuity, but there is no genius without it.